500 people – that is wonderful! 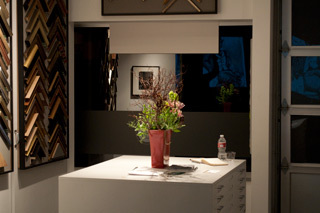 Thanks for posting the pictures of the exhibit. I would love to see it. Hi Sharon, thank you. 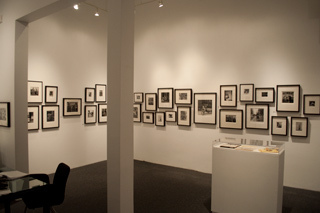 I wish I had taken more time to make better documentary photographs of the show, but I was short on time. Between the publicity, the full-page ad in Black and White Magazine and the 32 photographers buzzing about it, a lot of energy and interest developed. 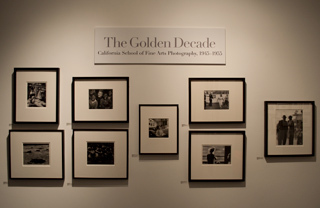 What a great article about the “Golden Decade” opening at the Smith Anderson North Gallery in San Anselmo September 4th. I look forward to getting the book by the late Cameron Macauley, Bill Heick and Ira Latour, with Ken and Victoria Whyte Ball, and seeing Philip Hyde’s photos. Hi Juri, thank you for reading. Unfortunate you missed the opening, but spending the Labor Day weekend up in Klamath, CA (near the Oregon border) watching the Fall salmon run catch by the Yurok Indian tribe is a great reason to miss it. You can probably still see the show. Those of us who were there were unable to actually see much of it during the opening. 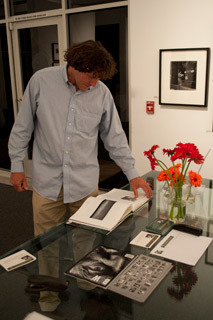 That’s why we met with Stefan Kirkeby and went back the next day to spend some time with the prints. It is a stunning lineup with incredible breadth, vision and variety, not to mention plain, raw, top notch printing talent. I’ll just bet it’s one hell of a show — I’d love to be there to see it. Thanks for posting about it. I’m toying with the possibility of moving to SF, but have no definite plans yet to do so, and it sure wouldn’t be by Oct 15 in any event. Thank you for the comment PJ. You’re right. It is well worth seeing to say the least. I wish you best with your potential move decision. The way you write on your blog, are you sure you would like the city? Even San Francisco, which is an incredible city can wear us outdoor wilderness types down. I love to visit San Francisco more than anything, but love to get the heck out of there within a number of days and come home to tranquility. Believe me, your question is a major concern of mine, but I haven’t made the decision to move yet and I may not. Right now it’s simply just another option. But it is one I’m considering. Congratulations on the showing David! I happened to be in So. Cal for the Labor Day weekend, watching Jr. College football! Best, as things move forward! Thank you, Renate. That’s pronounced Renat-a, as in the German pronunciation. Smiles. Football is not so bad, especially if it is somehow related to your son. I remember your loyalty as a fan of the high school team. You were everyone’s favorite mother. Of course you cheated to get that title by giving them all your amazing cookies. I imagine you have some good football memories and associations and now you can do it again in So. Cal on occasion. Pretty cool if you ask me. I was hoping to join you but couldn’t find my glasses! Glad it went well, and hope to come by (after I find my glasses). Hi Alta, thank you for visiting my blog. I understand how frustrating that can be, especially with a favorite pair. Hope you do find your glasses and make it over to the show. Please let me know what photographs you like best when you do go.